Fanfare Consort, the critically acclaimed Early Music Ensemble, is dedicated to the research, publication, performance and recording of literature composed prior to the 19th century. The ensemble preserves this rich repertoire by performing modern-day premieres of manuscripts by composers who have been eclipsed by the great masters of music. All concerts are presented on historically accurate instruments in order to heighten public awareness of an earlier style of performance. 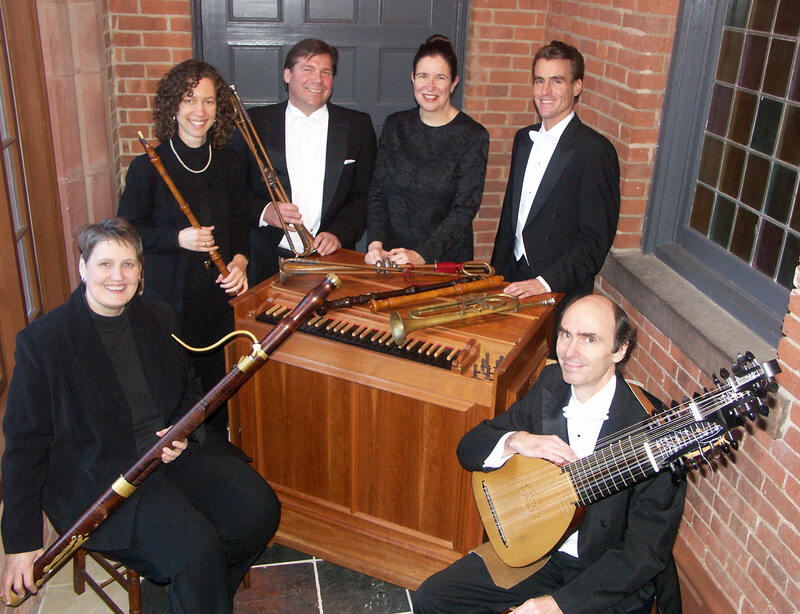 The core ensemble of clarino (valveless baroque trumpet), baroque violins (gut strings) and basso continuo (chitarrone [fretted bass lute] and/or violone [fretted, gut strings], harpsichord [plucked strings], and/or positiv organ [portable baroque tracker pipe organ], etc.) can be enhanced with voices and additional instruments. Concerts are presented as lecture/demonstration performances that are both educational and entertaining and include explanations of the music and a comparison of the historical instruments and their modern counterparts. The ensemble presents curriculum based educational programs for children in elementary and high school, plus master classes and residency programs. Fanfare Consort was recently awarded grants from Chamber Music America and Ronald McDonald House Charities, New York Tri-State Chapter, to present children's residency programs in Monroe and Newtown, CT. The ensemble was selected to present a showcase at Chamber Music America's 30th Anniversary Conference and at the APAP Conference Early Music Showcase. The members of Fanfare Consort come together as a result of multiple collaborations in period instrument ensembles, both in America and Europe. Individually they have garnered international recognition for their interpretations of Baroque literature. Together they share a true passion for chamber music and a commitment to early music performance practice. They bring to their performances the highest level of musicianship and scholarship, along with the greatest affection for this unique repertoire. Current recording projects include Soaring—The Music of Italy, music for clarino and organ (recently released); The Intimate Sonate, literature for clarino, two violins and basso continuo (released April 2006); Germanic Presence in Ye Olde England, the music of Finger, Händel and Keller, and The Intimate Cantate, literature of Alessandro Melani for trumpet, high voice (castrato) and basso continuo, both being recorded. is available for master classes as well as concert presentations. Quai bellici accenti ascolti mio core? with clarino, chitarrone and positiv.